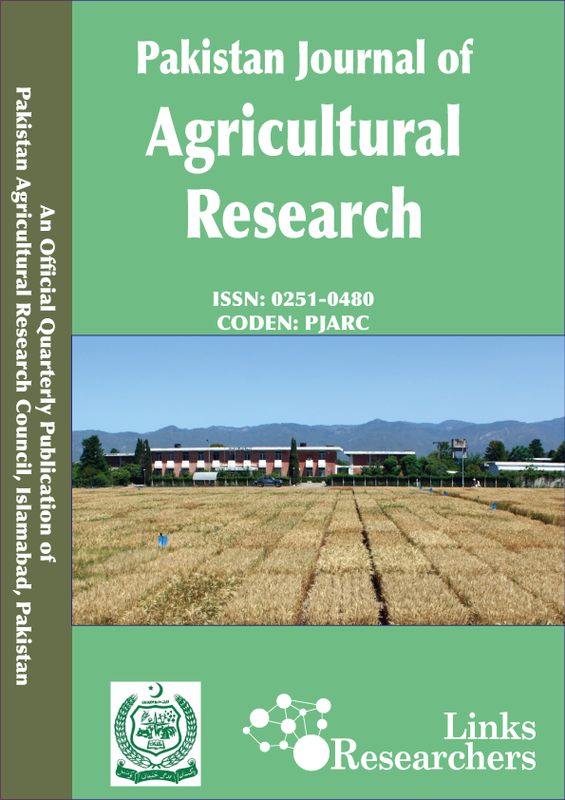 1Department of Botany, The Islamia University of Bahawalpur, Pakistan; 2Department of Environmental Sciences, The University of Lahore-Lahore, Pakistan; 3Institute of Agriculture and School of Agriculture and Environment, The University of Western Australia, WA 6009, Australia; 4Institute of Soil and Water Conservation, Northwest A and F University, and Chinese Academy of Sciences, Yangling, Shaanxi 712100, China; 5Department of Agriculture, Soil and Water Testing Laboratory for Research, Bahawalpur-63100, Government of Punjab, Pakistan; 6University College of Agriculture and Environmental Sciences, The Islamia University of Bahawalpur, Pakistan; 7Soil, Water and Environmental Chemistry Laboratory, Institute of Soil and Environmental Sciences, University of Agriculture, Faisalabad-38040, Pakistan; 8FO and S, National Agriculture Research Centre, Islamabad, Pakistan. 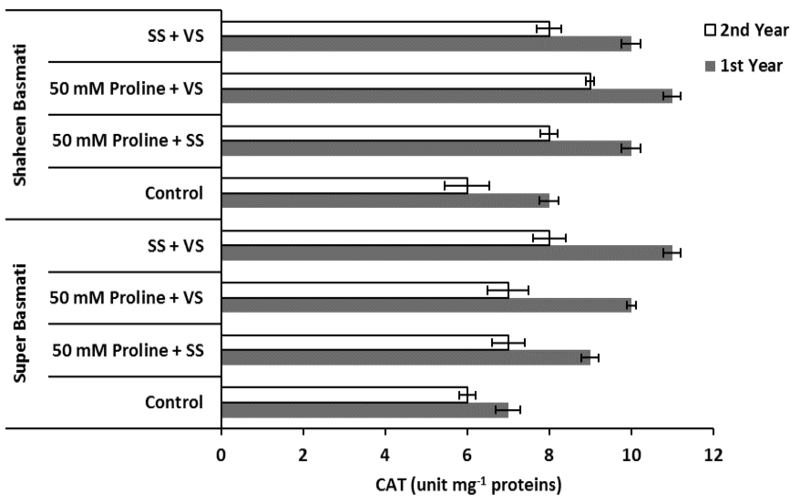 Influence of proline application on CAT activity of different rice genotypes under saline conditions in field experiment. 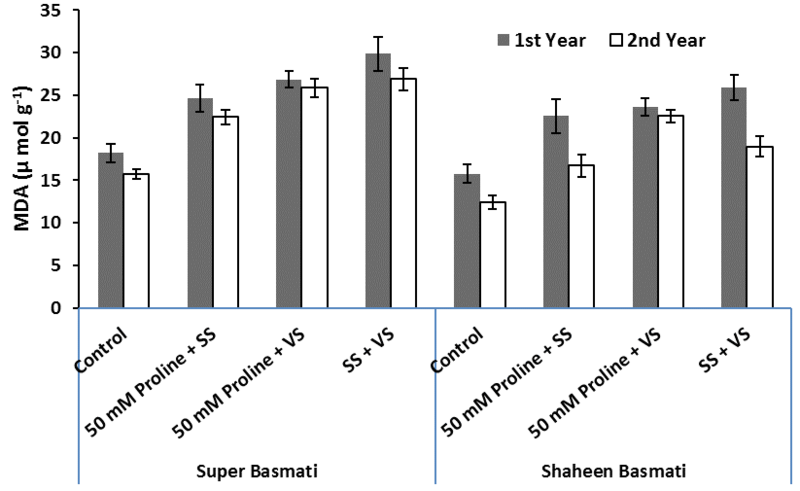 Influence of proline application on SOD activity of different rice genotypes under saline conditions in field experiment. 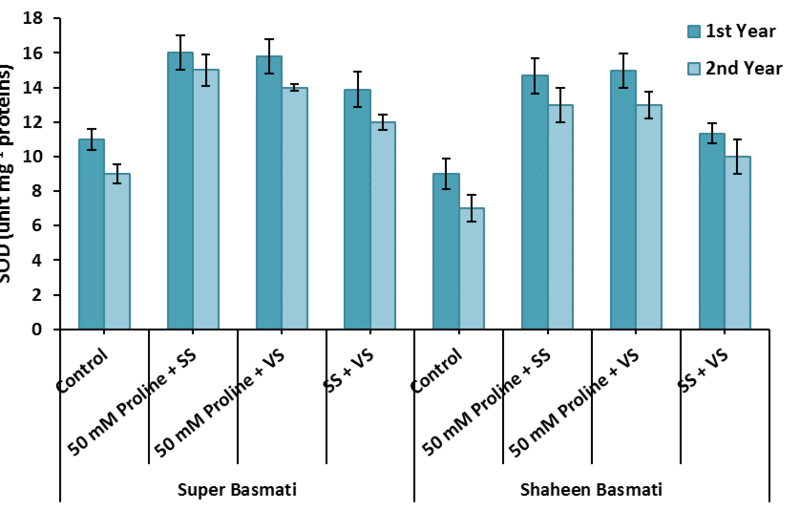 Influence of proline application on MDA activity of different rice genotypes under saline conditions in field experiment.